If the sounds of Christmas carols playing in the malls make you cringe, it could be you’re letting the stress of the holidays get to you. With so much to do and so little time to get it done, this seemingly-innocuous musical reminder just adds more fuel to the fire. 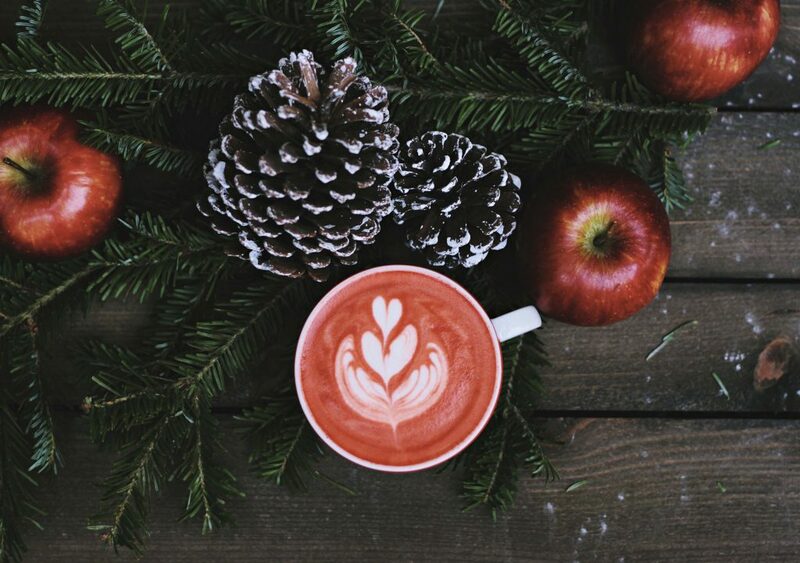 You’re primed and ready for these 10 tips for less stress during the holidays. Where is it written that you must be the poster person for everything done and everything right for the holidays? If you’ve assumed this mantle willingly, now’s the time to toss it aside. It’s impossible to be perfect, so why should you pursue perfection? The biggest hurdle for you to overcome is your own self-expectations. Tell yourself – and listen so it takes hold – that you don’t have to do everything. This is the first step to much less stress this holiday season. You might think you’ve got everything under control, even after you’ve told yourself that you don’t have to do it all, yet you still push yourself beyond what’s realistic. When you wind up haggard and exhausted at the end of the day, don’t look forward to tomorrow’s to-do list, start shortchanging your own well-being in a constant quest to do more, you’ve got to stop. Here is where you must know your own limits and never exceed them. You’ll be tempted, but don’t succumb. If you haven’t let others know what you will and won’t do, you need to make your boundaries clear. Let them know it’s not OK to automatically expect you to host the big holiday dinner, just because you may have done so in the past. Times change, other responsibilities may take precedence, or it’s just not equitable, besides no longer being fun. Don’t think that others can guess what your boundaries are, however, because they can’t. Most won’t want to. You must tell them. The best thing that ever happened with holiday shopping, in my opinion, is the ability to easily, quickly and seamlessly do almost all of it online. Free shipping, discounts, extra gifts, suggestion lists, cash for purchasing via sites like eBates.com and TopCashBack.com are all excellent for easing this type of holiday stress. Gobbling a sandwich on the run, skipping meals, eating unhealthy snacks and eating too much are all a recipe for increased stress, if not a serious medical condition. The human body requires nourishment, not junk food. Eat sensibly, in moderate portions, at the appropriate times and regularly. Not only will you have more energy, with good self-care you’ll be better equipped to deal with the stressors you’ll encounter during the holidays. Just as eating too much, too little or the wrong kind of food can increase your stress level, insufficient sleep is a huge contributor to added stress. It might be tough to get 8 hours of sleep each night, especially if you wait until the last minute to wrap presents, clean the house, launder the holiday linens and make sure all the decorations are in good shape, but this is one area you can’t afford to ignore. Remember the tip about knowing your limits and not trying to do everything? When it’s time to go to bed, go. You need your sleep. Another big culprit in holiday stress is alcoholic consumption. One drink won’t kill you and probably is fine – unless you are in recovery, do crazy things with the slightest sip of alcohol, or some other reason – but keeping up with the party-hardy folks is just going to land you in a tight spot. Maybe literally, as in handcuffs from drinking and then driving. Just say no. Drink something festive and non-alcoholic. No one will care. And this is a safe choice that will cut down on your stress level as well. If you want to have something to look forward to, begin or end each day with something you enjoy. Maybe that’s a massage from your partner, a specially-prepared latte, a hot bath or soothing shower, listening to your favorite album, taking a mindful walk outside, working in the garden. What it is matters less than you derive pleasure from doing it. The release of endorphins you get from doing something you enjoy will dramatically reduce your stress. Since there’s a finite amount of time and you only have so much energy to go around, one way that you can reduce your anxiety and stress during the holidays is to ask for help. If you also make it a fun activity, there’ll be less chance others will resent the request. Furthermore, if everyone pitches in, the task or project will get done that much quicker. Be sure to let others know you’ll reciprocate. It’s more than a grand gesture. It makes them even more willing to lend a hand. Think about what it means to you to have your loved ones and family members to spend time with this holiday season. What you take for granted, others would gladly trade places to experience. Also, time goes by quickly. The moments you cherish and share now will be loving memories later. Love is a healing balm that can magically erase stress. Be open to it and soak up every minute with those you care about. This entry was posted in Holidays, Stress, Tips and tagged holiday season, holiday stress, holidays, less stress during the holidays, stress, tips on November 14, 2016 by 15893608.